United Airlines has dropped the price of their flights from Vancouver to both Melbourne and Sydney, Australia down to between $896 and $950 CAD roundtrip including taxes. - These seem to have disappeared. It's almost like United pulled them right after dropping them. They've been dropping their prices to Australia from many different North American cities this week, so it doesn't seem like it was a mistake. I'll let everyone know if/when they are bookable again. Remember that Australia's seasons are the reverse of our seasons here in North America. 2. Click 'Change' in the top right corner to try other dates. 3. Click through from Kayak to the United Airlines website for booking. I've been getting a variety of different results when clicking through from Kayak to the United website. Sometimes the price goes up by $30 or so when you get to the United website, but it will be in $CAD. Other times, you might see prices in the $600s when you get there, but it will be because the price is displayed in $USD. If you change the 'us' in the URL to 'ca' the price *should* change to $CAD. Alternatively, you could try starting your search at http://www.united.ca which should always be in $CAD. 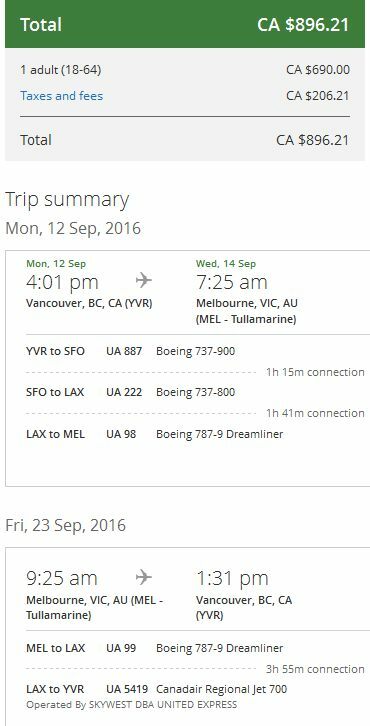 - Melbourne in September: Not seeing many for Melbourne in September, but there is one date combination working on ITravel2000.com for $900 CAD. Try Sep 14 to Sep 26. You may also want to try searching on YVR Deals Facebook Group. 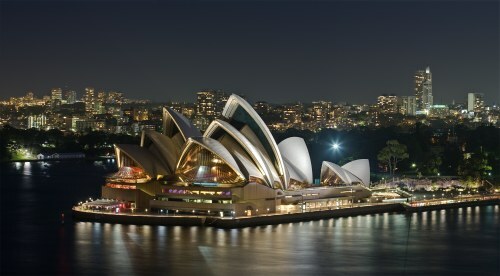 vancouver, yvr, united airlines, australasia, australia, sydney, syd, melbourne, mel, oceania and flighht deals.